First, let's start by reminding people that Wizart is a NEW animation studio that started up in 2011. As far as animations studios go, this is a very young studio. With that said, however, that also means that trying to compare them to weathered studios like Disney/Pixar and Dreamworks isn't exactly a fair assessment. 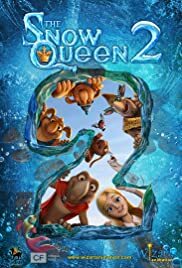 Story: The Snow Queen 2 opens by skimming sequences of the first movie, but then quickly points out that this film is just as much attached to the events of the first, but also striving to be it's own thing... which it does quite well. Your Main Character, Orm is a complex character filled with emotion that he buries deep inside of him. Add in a sarcastic-humor and you get a pretty entertaining character. Mixed in with a number of other colorful personalities (many are stereotypes) you enter a world that is not meant to be thought to hard on, rather enjoyed for what it is. If I must state that the highlight of this film isn't Orm so much as it is his grandma, who happens to have quite a character for an old lady... I enjoyed every moment that she was on screen. The downside of the film was in the return of several of the main characters from the first film, almost as a crutch to the film. Their cameo (as it were) almost felt out of place and the action that revolved around them did distract from the characters that you DID want to pay attention to... but to be fair even their animation was a major improvement over the first Snow Queen film. As far as the message of the film, I really have to say I loved it. It's a pretty clear message that any child could understand: Lying. Lying not only can hurt people, but it can tie you up into a sophisticated web that you find difficult to release yourself from. Add in the bonus message of forgiveness, and this film in many ways was better than your average Pixar/Disney film for that reason alone. The music.... pretty average... not bad, however, not something I could hum out of a theater. Animation quality: Still not talking about a perfect A+ animation, however, that didn't seem to be the negative of this film. 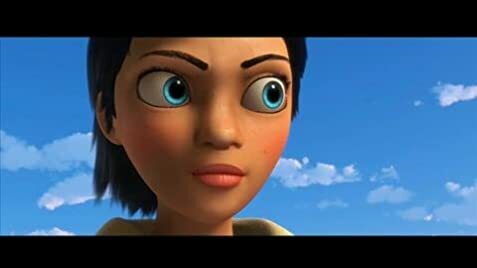 For some reason, the film's loose animation style helps drive itself away from being mistaken from a Disney/Pixar film... for a person like myself, that's actually a good thing. Wizart has so much to offer, and I'm sure that they're only going to keep getting better as time allows. I am genuinely impressed with their progress. If you haven't seen this film, check it out. I highly recommend it.